Nike has finally made it clear that they want to be pushing boundaries when it comes to adapting new technologies in their sneakers and they have finally introduced their highly anticipated self-lacing shoe. They call it the ‘HyperAdapt 1.0’ and it will cost a whopping $720 and will only be available in select locations. We saw Nike launch the 2016 Mag that was inspired by the movie ‘Back To The Future Part II’ and the standout feature was its power laces, which would tie itself. Now I don’t know about you but I simply cannot resist a self-lacing shoe and the HyperAdapt is the consumer version of the 2016 Mag. The shoe gives a tickling feeling when you put on the pair but it does what it is meant to do, tie its own laces. 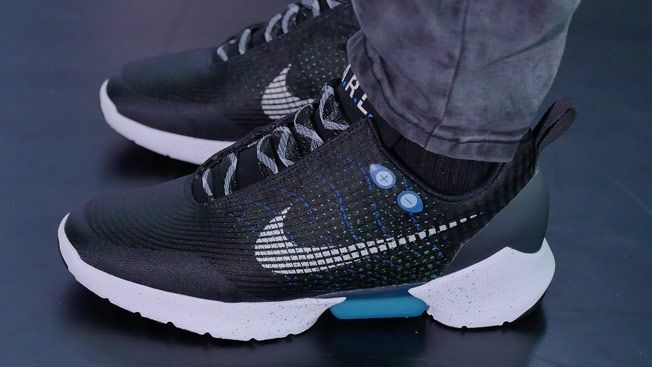 The HyperAdapt 1.0 is designed as a performance shoe however sneaker heads like me look at it as a collector’s item. The shoe utilised a system that is called ‘E.A.R.L.’ short for Electro Adaptive Reactive Lacing, which kicks in as soon as your heels touch the insole. Once your feet are in and the laces require adjustment, there are two buttons, which will let you fool around with the tightness or the looseness of the fit. It even has an auto-mode where the HyperAdapt adjusts the fitting of the shoe according to the shape of your foot. The E.A.R.L. system makes a very pleasing sound when it starts lacing up the shoe. The blue block that is present on the bottom the shoe is used to indicate how much power is left and a bright blue light signifies that the shoe is completely charged. The shoe can be recharged and according to Nike, the battery life on the HyperAdapt can last up to two weeks. 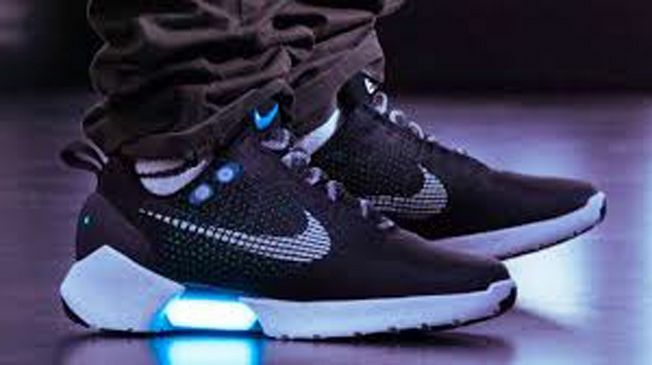 There are LEDs on the back of the shoe, which lights up every time HyperAdapt is in action. In order to buy these magnificent shoes, you will need to book an appointment and it is only available in New York City as of now. Good luck getting them!